Note: Head to Microsoft website to check what operating system your computer currently running or download the latest Windows 7 SP1 or Windows 8.1 update. Windows Hello is a new Biometric authentication feature in Windows 10 to improve security and provide more personal experience to the users. With the help of Windows Hello feature, you’ll be able to log into Windows by showing your face or touching your finger to Windows 10 devices. 2. Speech recognition will vary by device microphone. If you want better speech experience, you’ll need a high fidelity microphone array and hardware driver with microphone array geometry exposed. 3. Continuum is available on all Windows 10 desktop editions by manually turning “tablet mode” on and off through the Action Center. Tablets and 2-in-1s with GPIO indicators or those that have a laptop and slate indicator will be able to be configured to enter “tablet mode” automatically. 4. Two factor authentication feature for better security will require the use of a PIN, Biometric devices (such as fingerprint reader or illuminated IR camera) or a mobile phone with WiFi or Bluetooth capabilities. 5. The number of applications that can be snapped will depend upon the minimum screen resolution. 6. To take advantage of touch input, you’ll need a computer screen with multi-touch support. 7. Microsoft account required for some features. 8. To use secure boot feature the firmware should support UEFI v2.3.1 Errata B and should have the Microsoft Windows Certification Authority in the UEFI signature database. 9. If pressing “Ctrl+Alt+Del” key combination for secure logon is enabled in your Windows 10 tablet, you’ll need to press WIN+Power buttons together to login. 10. Some games and programs might require a graphics card compatible with DirectX 10 or higher for optimal performance. 11. BitLocker To Go requires a USB flash drive (Windows 10 Pro only). 12. BitLocker requires either Trusted Platform Module (TPM) 1.2, TPM 2.0 or a USB flash drive (Windows 10 Pro and Windows 10 Enterprise only). 13. Client Hyper-V requires a 64-bit system with second level address translation (SLAT) capabilities and additional 2 GB of RAM (Windows 10 Pro and Windows 10 Enterprise only). 14. Miracast requires a display adapter which supports Windows Display Driver Model (WDDM) 1.3, and a Wi-Fi adapter that supports Wi-Fi Direct. 15. Wi-Fi Direct Printing requires a Wi-Fi adapter that supports Wi-Fi Direct and a device that supports Wi-Fi Direct Printing. 16. To install a 64-bit OS on a 64-bit PC, your processor needs to support CMPXCHG16b, PrefetchW, and LAHF/SAHF. 17. InstantGo works only with computers designed for Connected Standby. 18. Device encryption requires a PC with InstantGo and TPM 2.0. 19. Cortana is only currently available on Windows 10 for the United States, United Kingdom, China, France, Italy, Germany, and Spain. 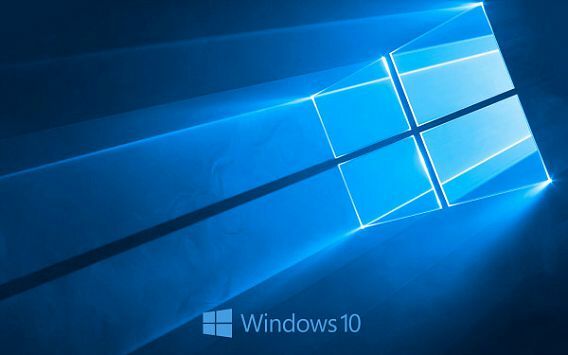 If you want to know if you’re current Windows based computer is ready for an upgrade to Windows 10 or not, Microsoft has released Microsoft’s update tool which will scan your computer and lets you check whether your computer is compatible. However, you also can go for a manual check. Just go to PC Info on Windows 8 (from the Start screen), or to Control Panel and then System in Windows 7.